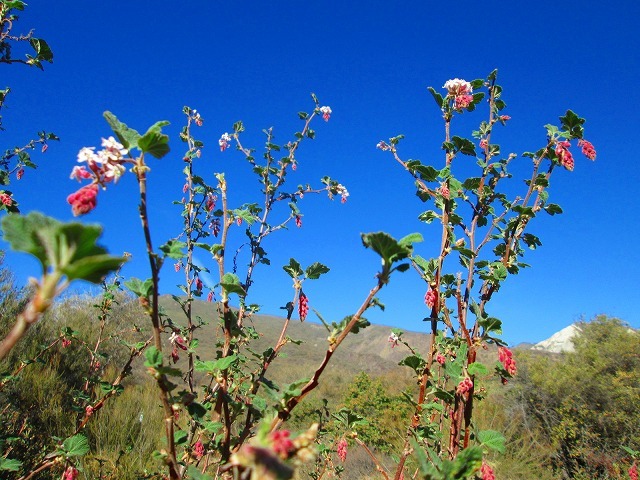 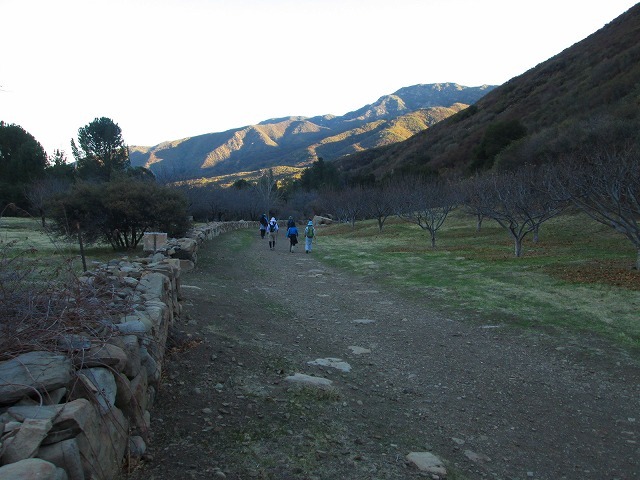 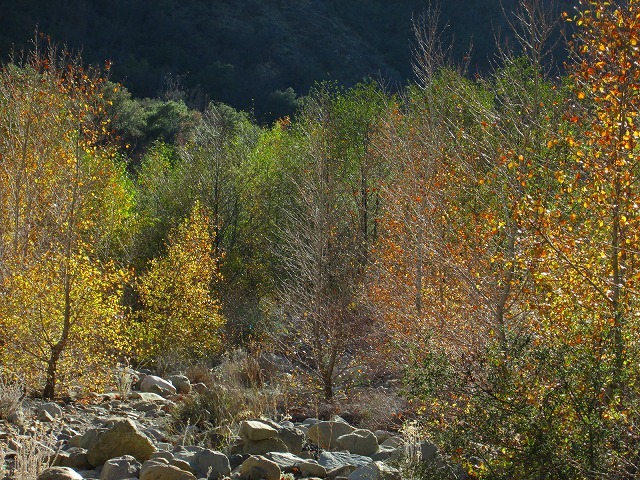 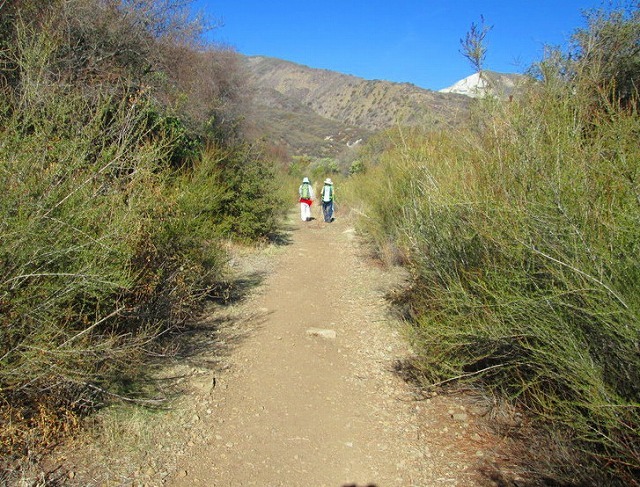 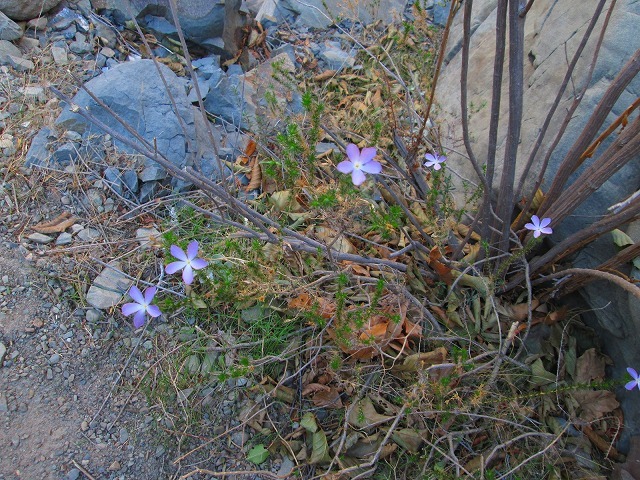 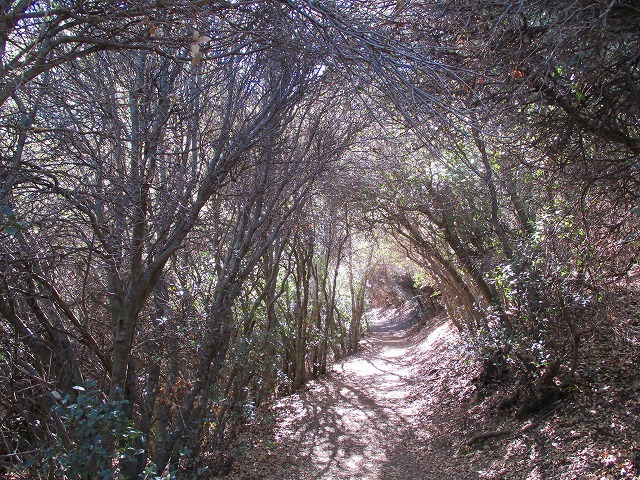 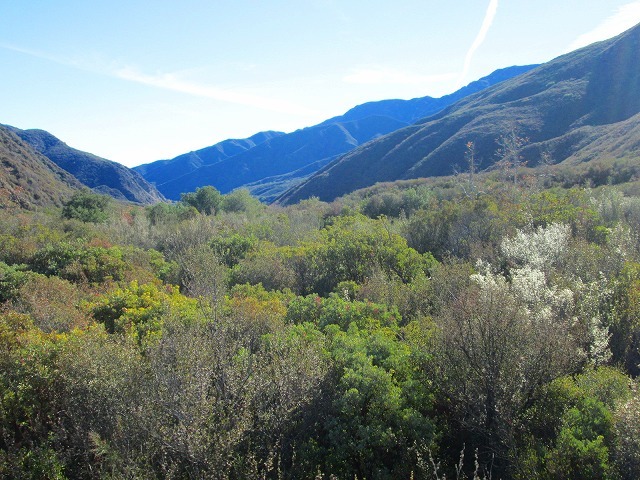 We went to Middle Fork Matilija Trail near the town of Ojai on the Christmas. 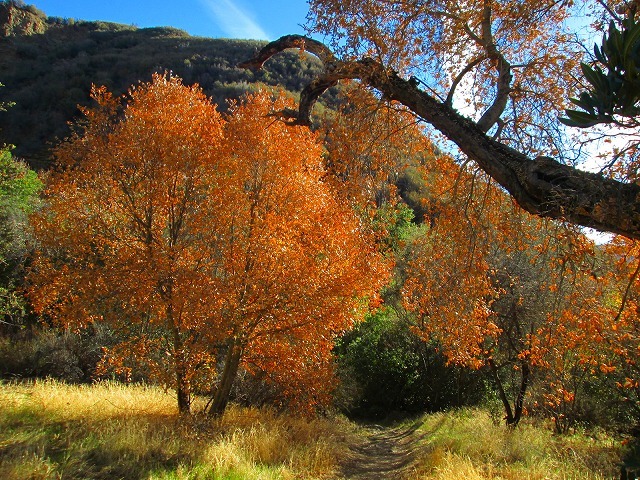 Ojai will be extremely hot in the summer. 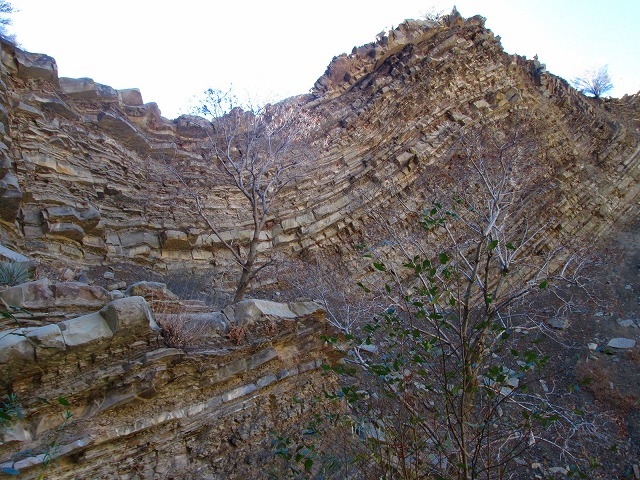 It was very hot even in winter. 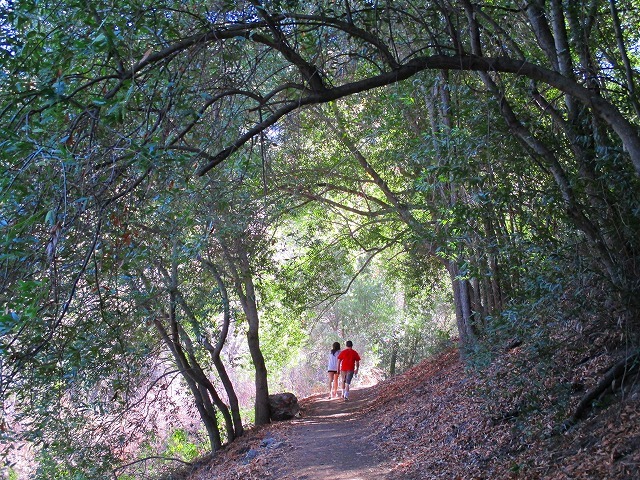 Source of this article – Los Angeles Times, June 27, 2010. 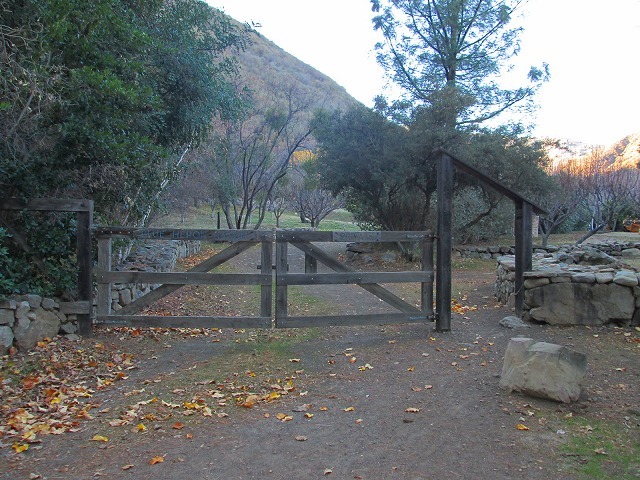 Shull ‘Buzz’ Bonsall Jr. has closed a century-old route on his property. 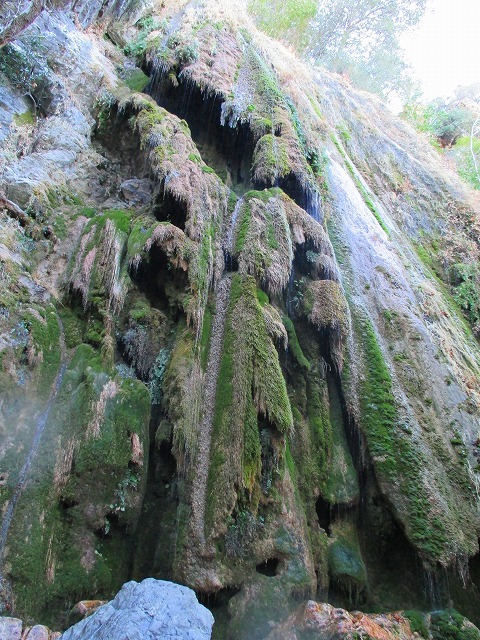 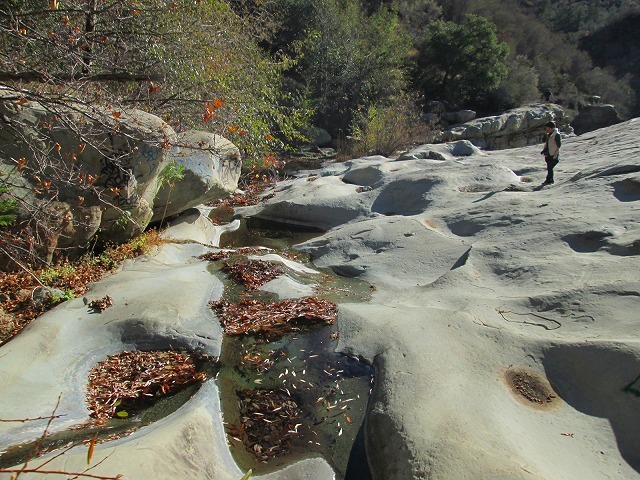 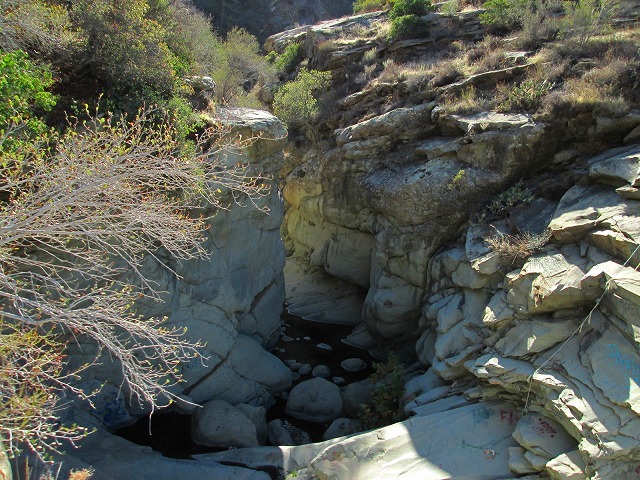 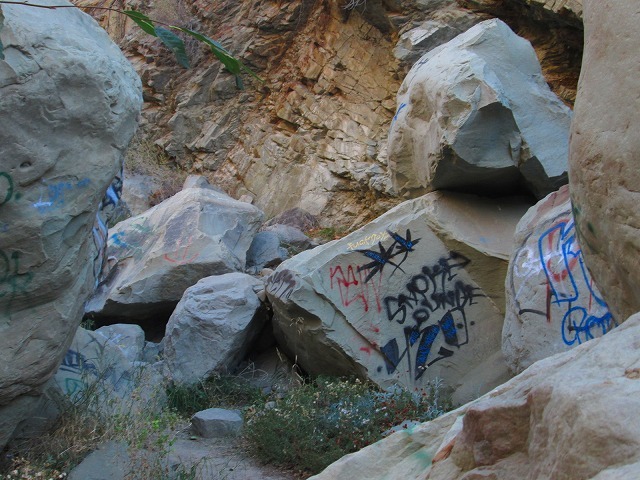 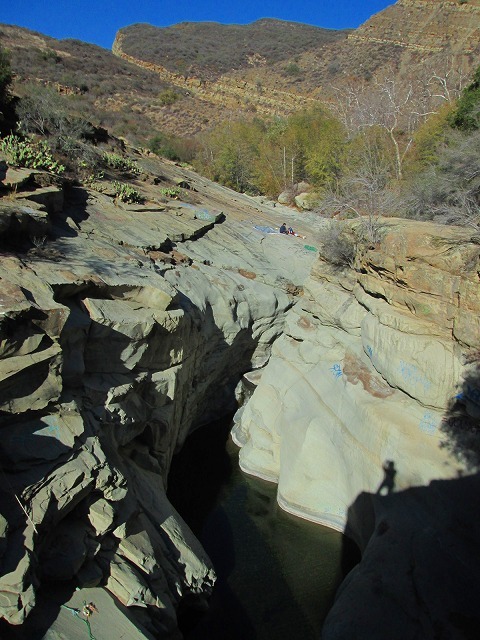 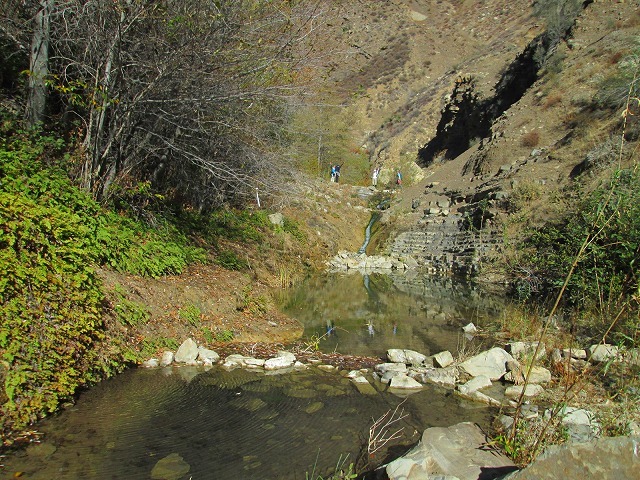 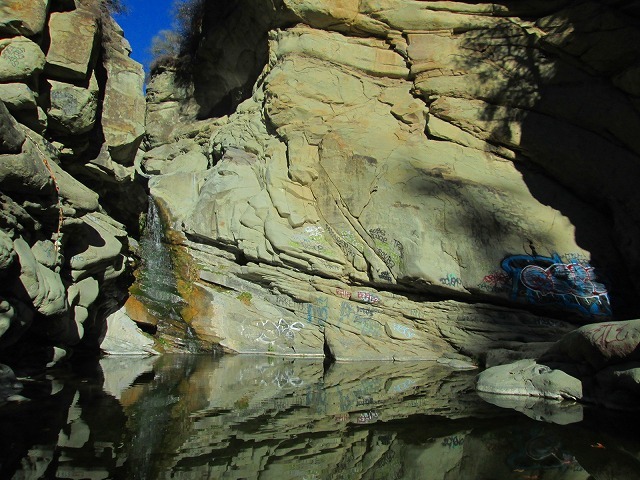 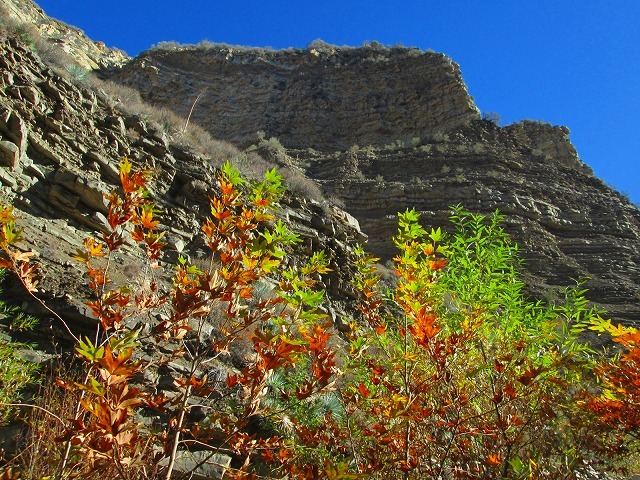 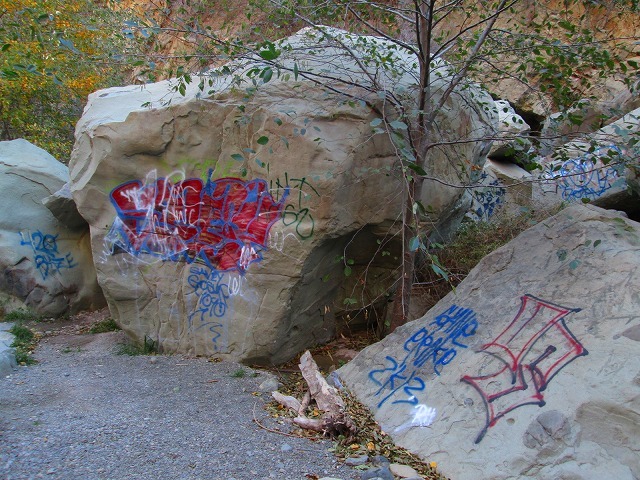 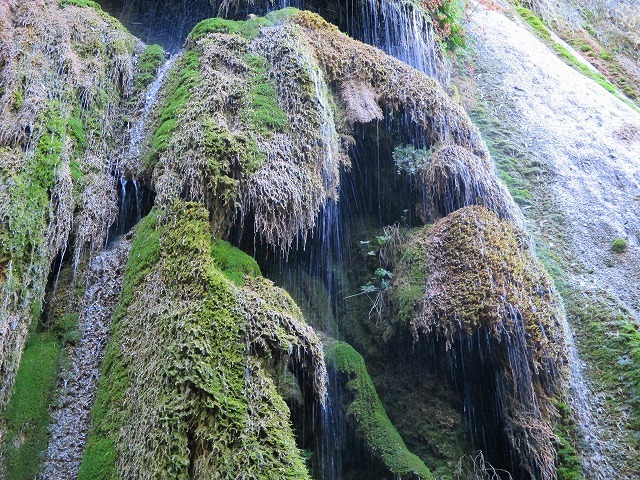 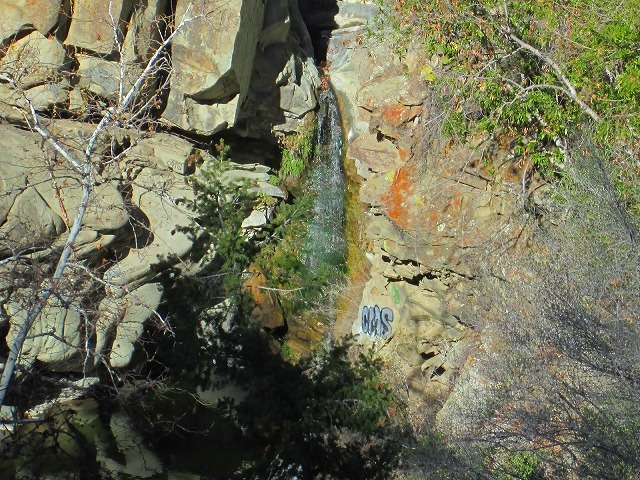 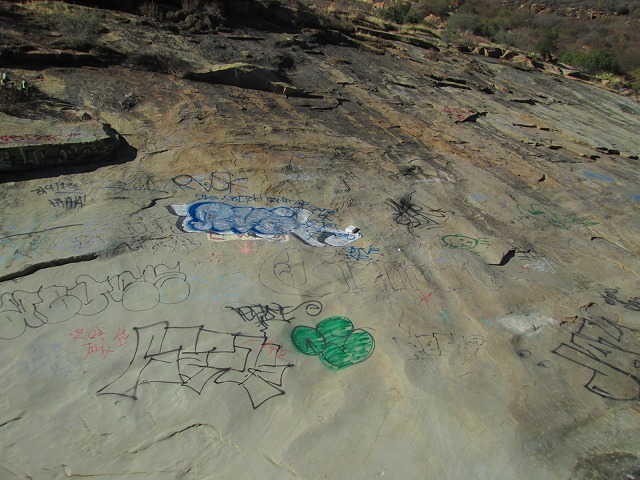 But hikers plan to fight for access to Matilija Falls, which is on public land. 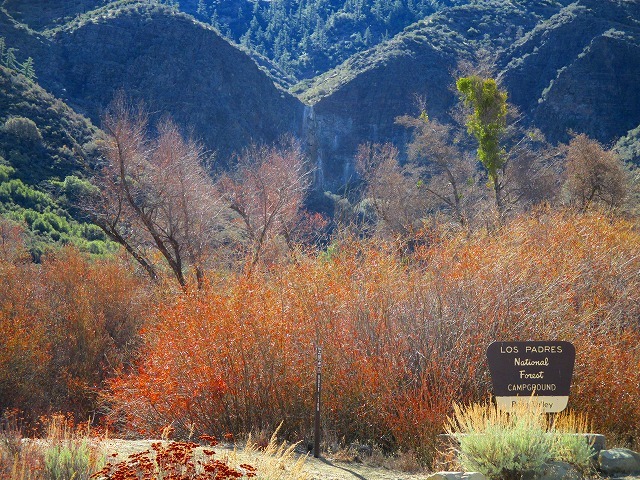 Drive the FW101 about 1 hour west from Los Angeles , heading north on the transfer to State Road 33. 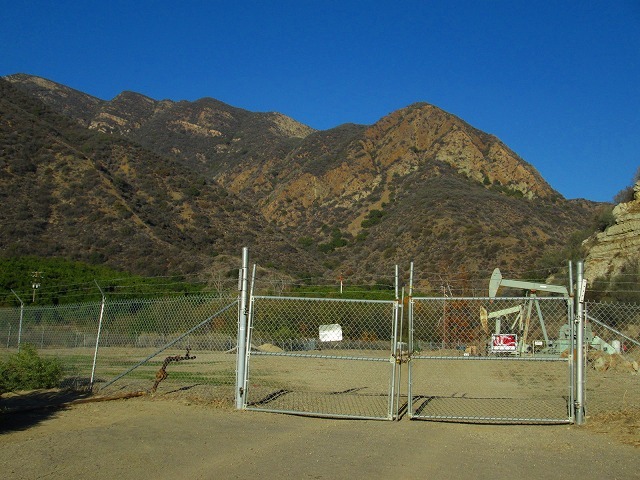 Turn left to narrow Matilija Canyon Rd you past the town of Ojai. 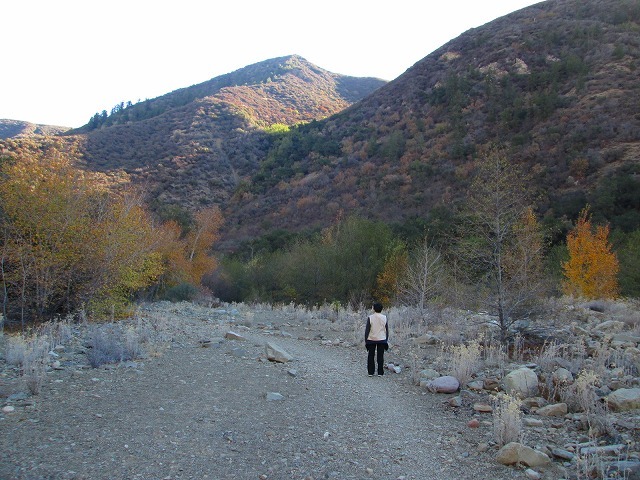 The road continue along the Matilija Lake, and come into mountains area more and more, there is a parking lot beyond a small village. 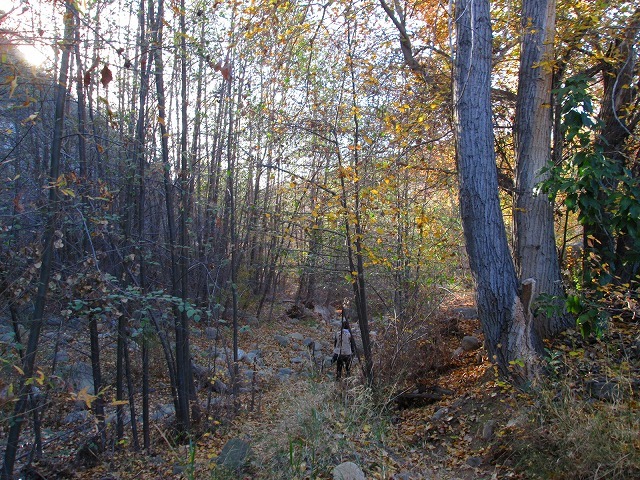 After we had gotten the correct trail by detour, we followed the trail which go to the north. 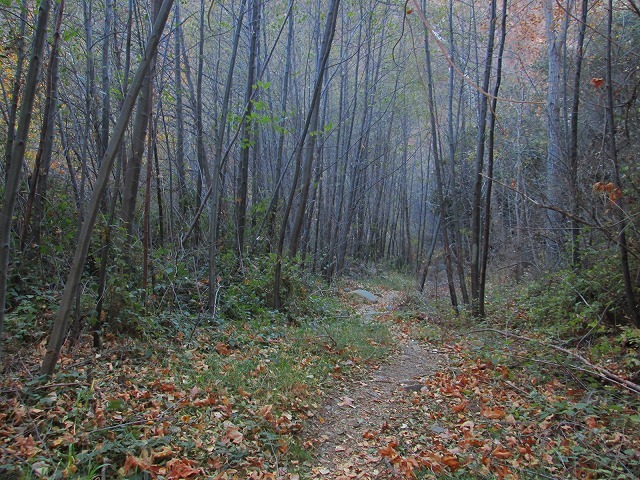 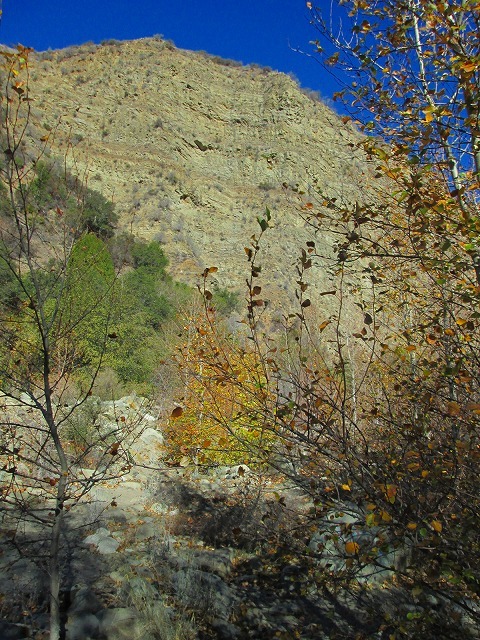 Trail is become narrow toward the Middle Fork. 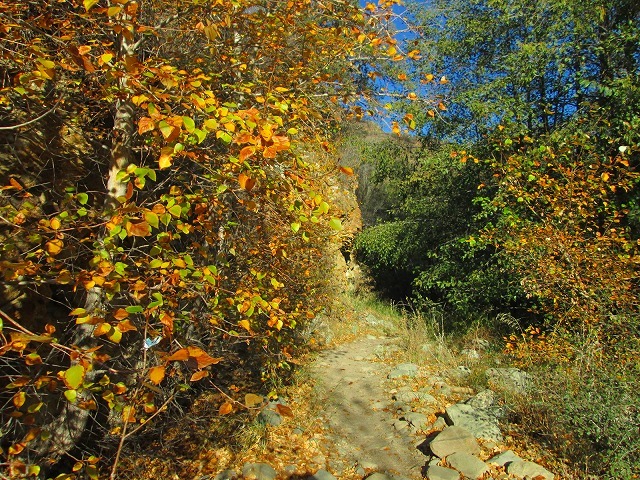 Follow the trail carefully because there are some misleading path between camp sites at about two miles from the trailhead. 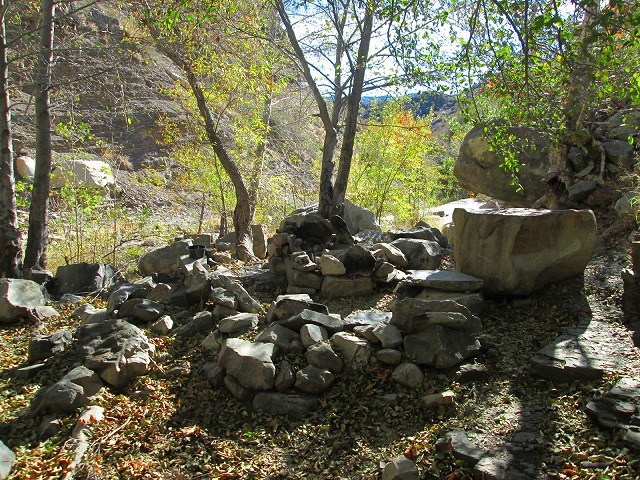 There are 2 camp sites where is close each them. 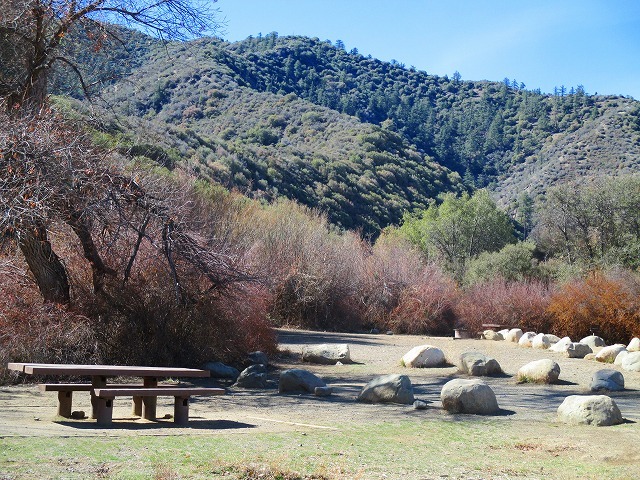 There is a big shady camp site in the foreground, it seems comfortable in the summer. 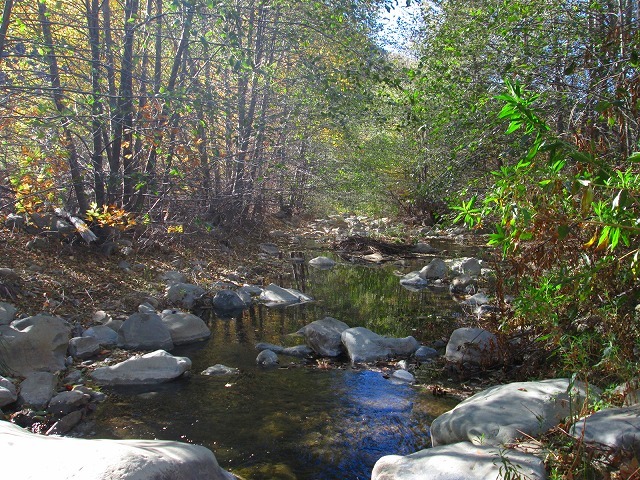 The second camp site is located very close the creek stream, and the scenery is wonderful. 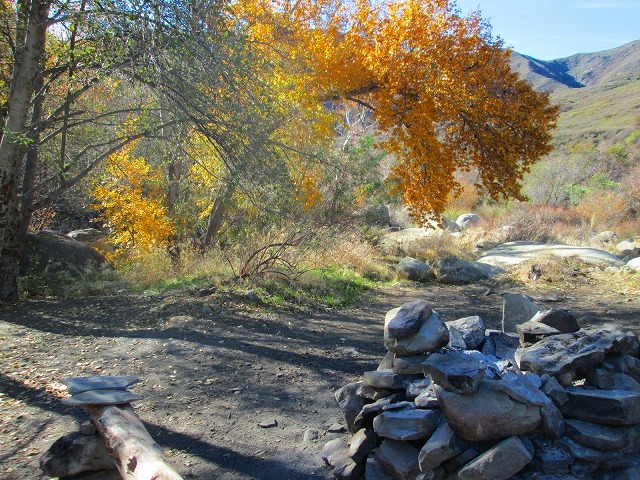 Now, past the campsite, the trail goes along the creek. 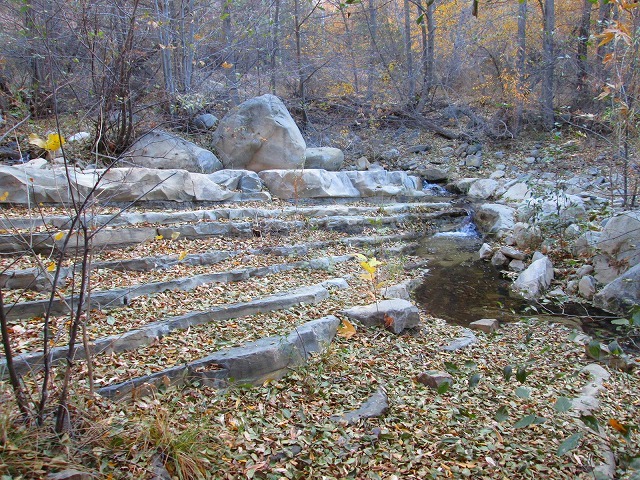 The rocks of creek bed look like a step as artificially created. 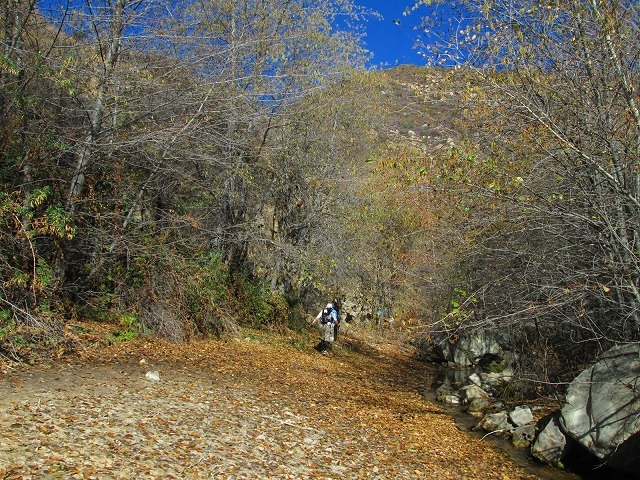 We followed very narrow trail which is left side of stream. 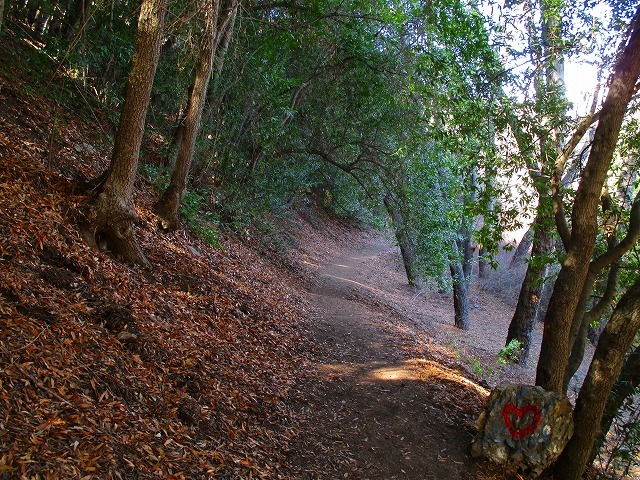 It not seems regular trail. 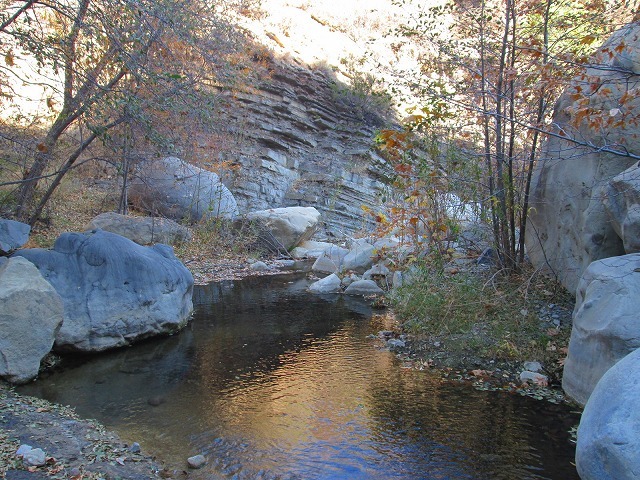 It would be a trail attached along stream because a lot of beautiful water pools. 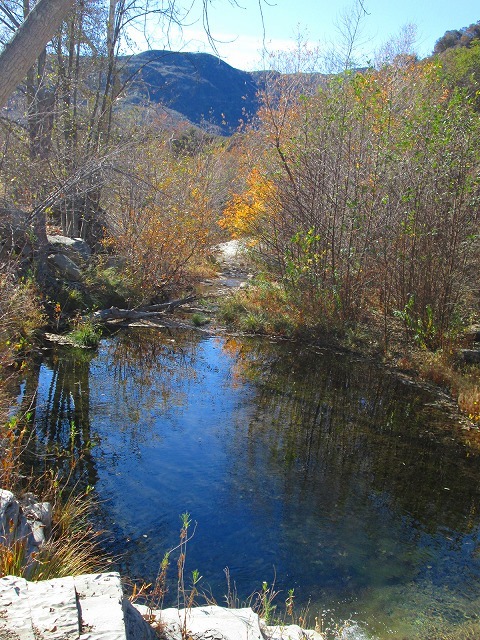 Many hikers come to playing in the water pools in the summer. 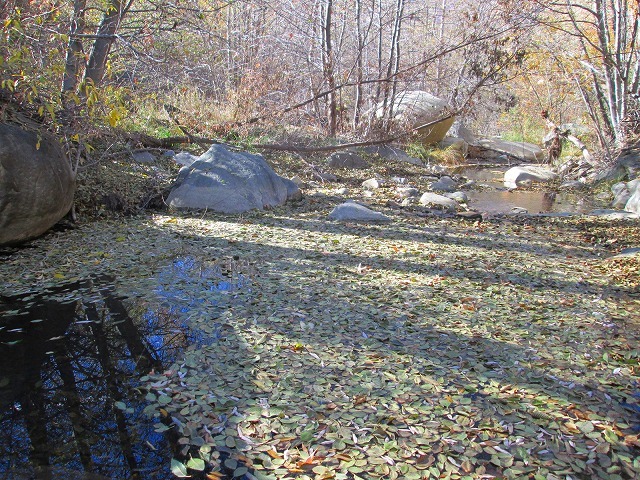 Fallen leaves covered full surface of the water pool. 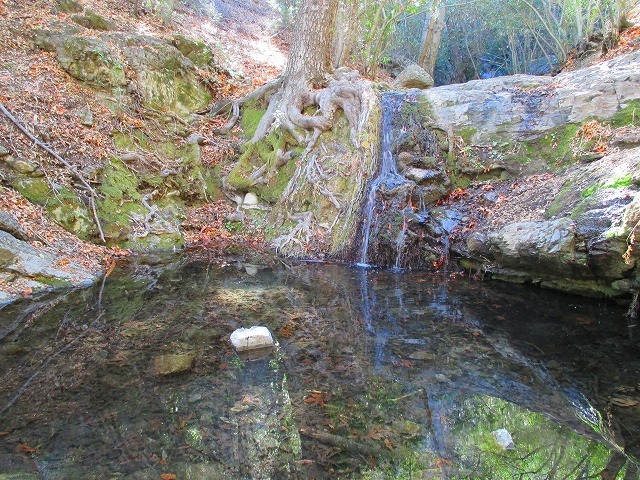 There are clean water pools in that opened places of the forest. 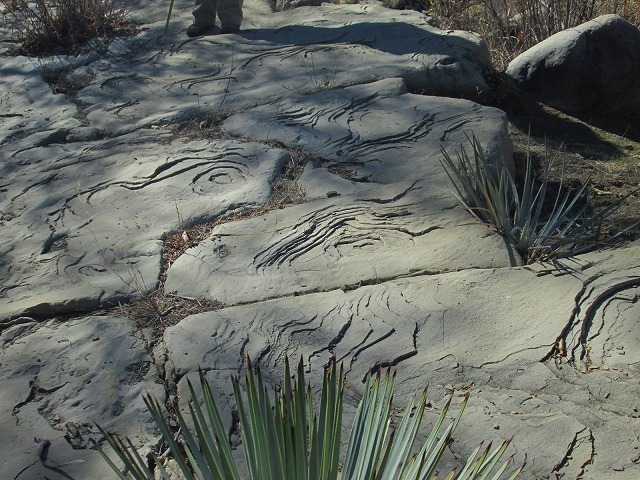 There are some interesting patterns on a rock, and we stopped and stared briefly. 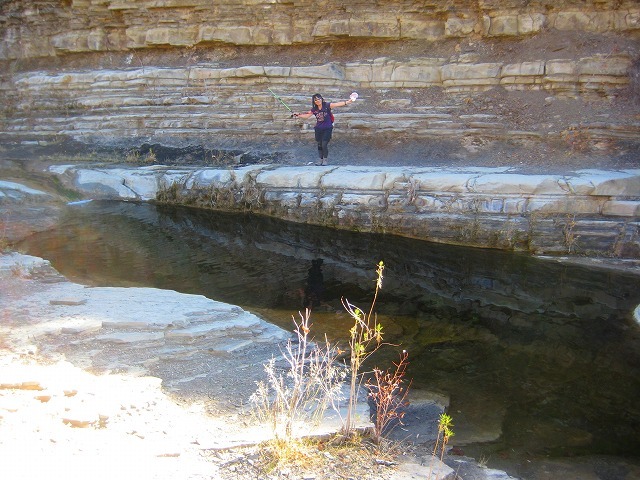 A less than three hours after we starting to walk, we took short break beside the lovely water pool. 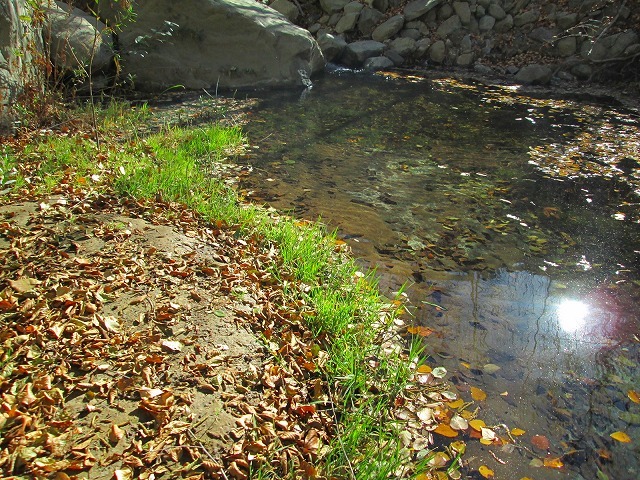 Because it dropped the autumn leaves now, the overall creek impress peaceful on me. 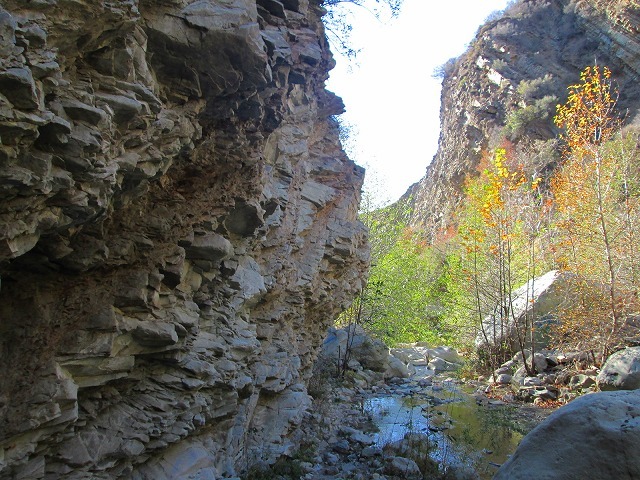 Going upstream, the many layers of rock is so eye-catching. 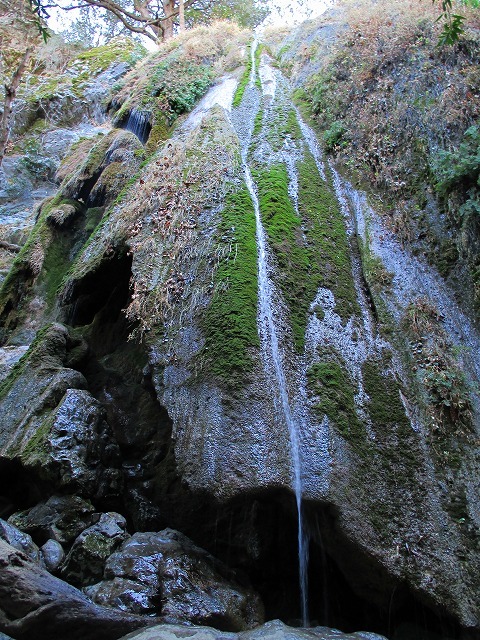 As you can see the shallow waterfalls which has long water pools, you almost close the final waterfalls. 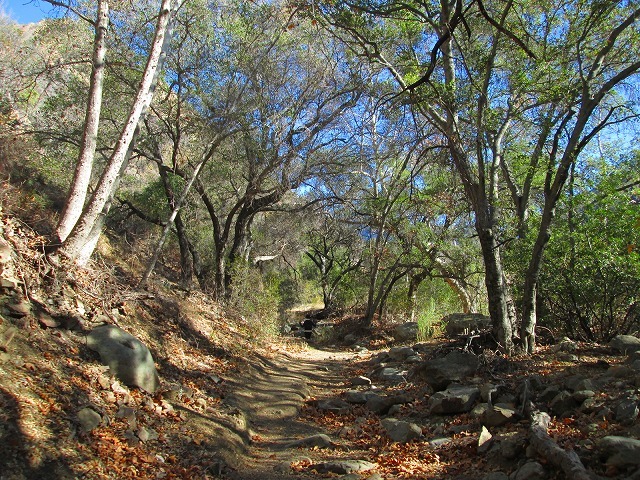 A narrow trail attached on the right to the shallow waterfalls. 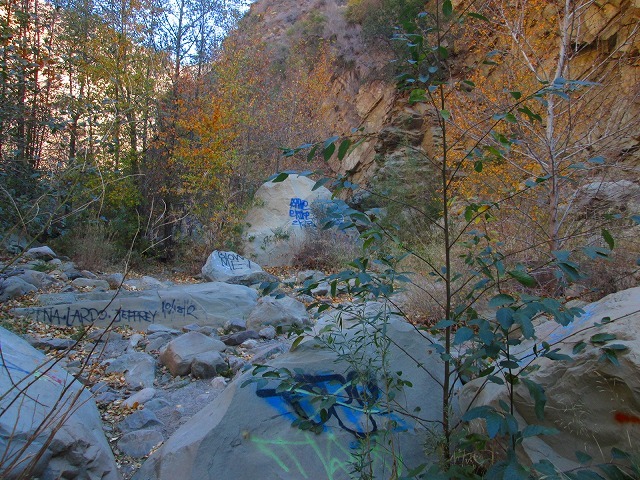 There is a camp site with large fire range to trace around beyond the shallow waterfalls. 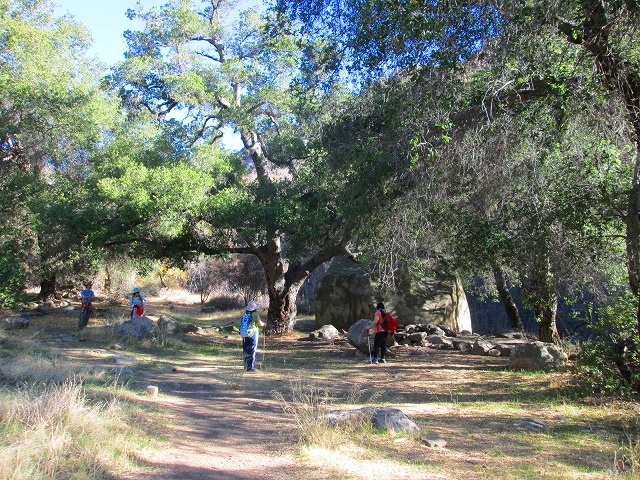 The camp site is shaded enough by big trees. 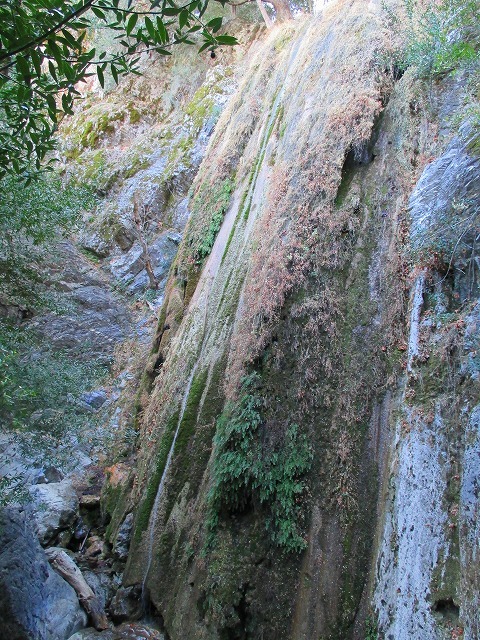 To more climb, the area is surrounded high wall. 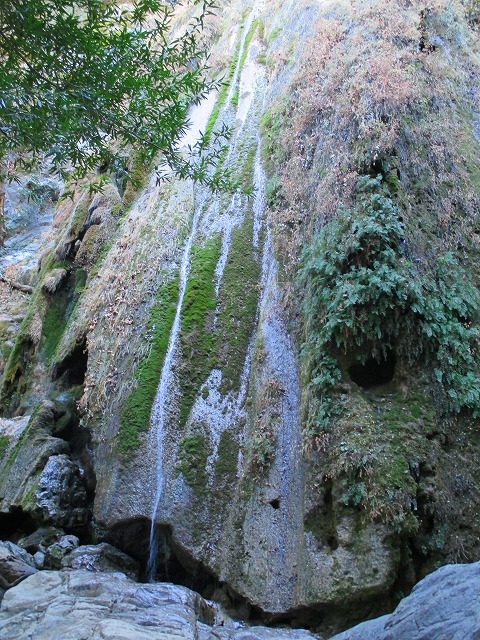 It seems to hint the presence of the waterfalls finally. 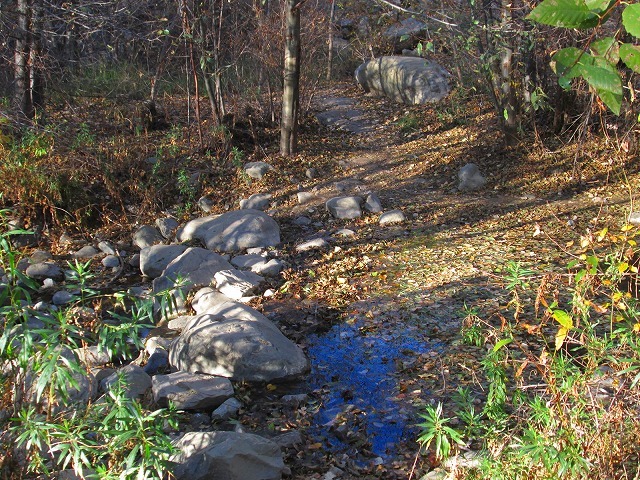 The trail is divided into left and right immediately, turn left (west) follow the water flow, the stream would have been surrounded by the rock walls completely. 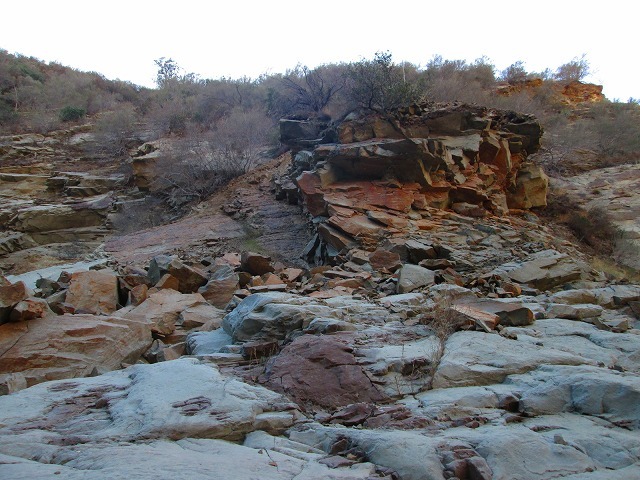 Layer of sandstone rocks are impressive indeed. 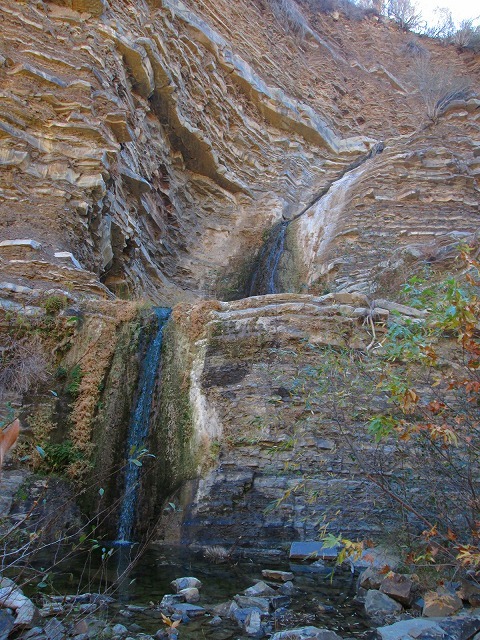 And, waterfalls of large two-stage appears to break the layer of the rock. 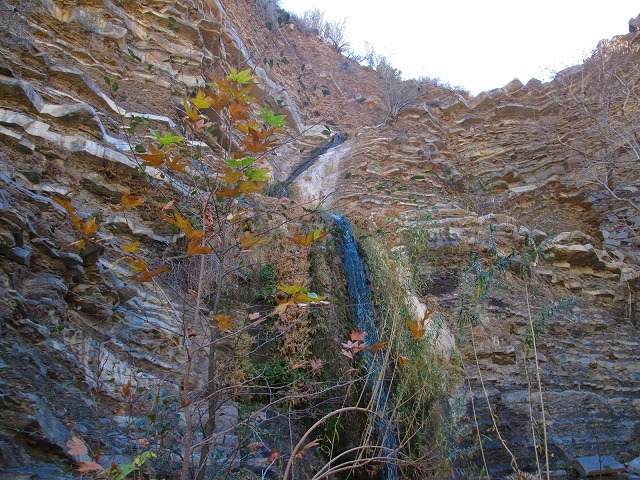 Unfortunately, amount of water is less in the dry season, but combined beauty of the rock face and waterfalls is something stunning. 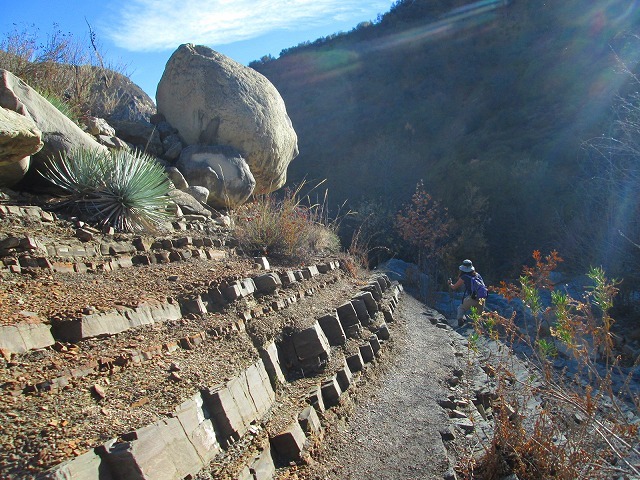 During going back, follows the trail which along left side from the creek, the layer of geometric stunning rock can be seen here. 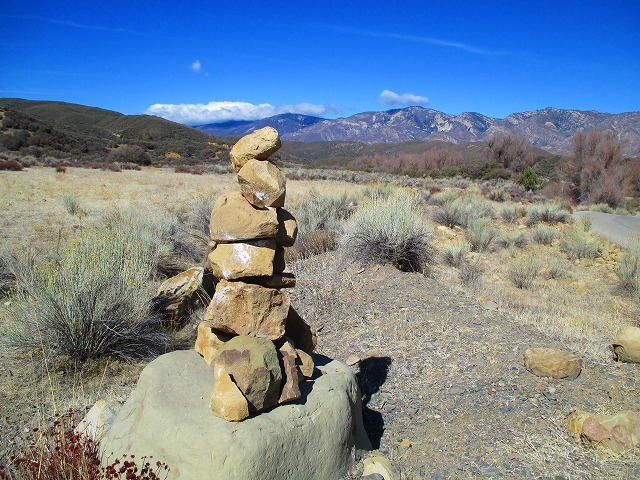 Solar radiation in the winter time is short. 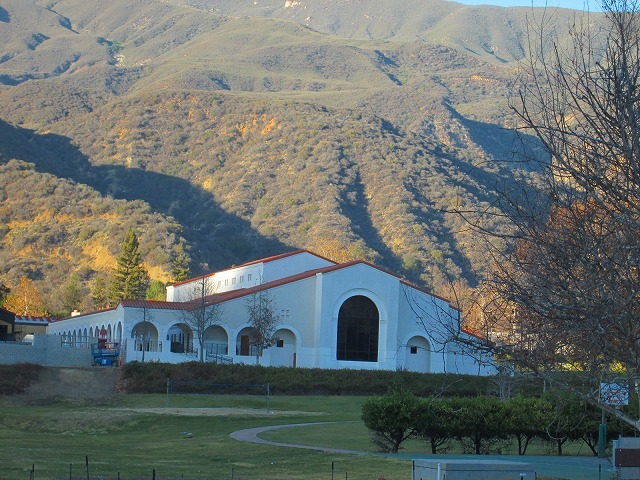 Sun begins to tilt to the west just past 3:00p.m. 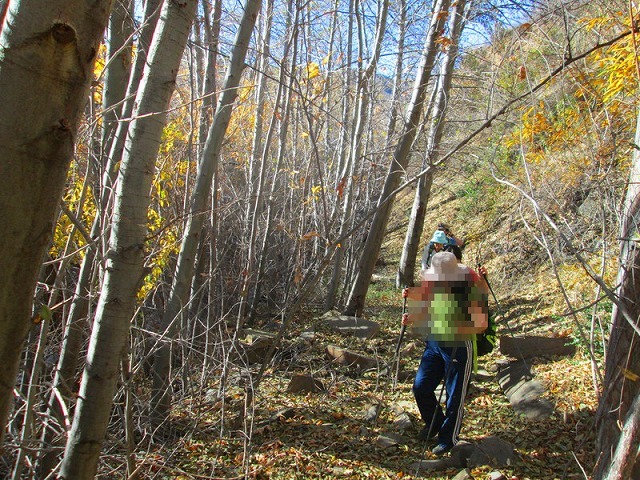 Hikers should try to pass quietly so as not to disturb people who lives in the private property. 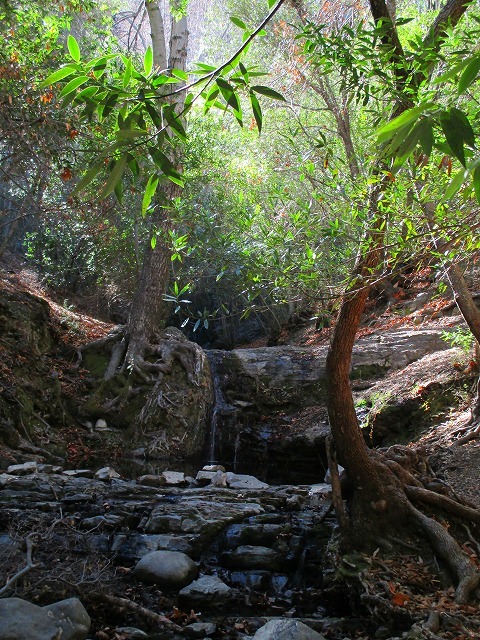 Quaint campsite, and trail that leads us to a hidden waterfall reminiscent of the last unexplored region of the beautiful from the continuous water pool. 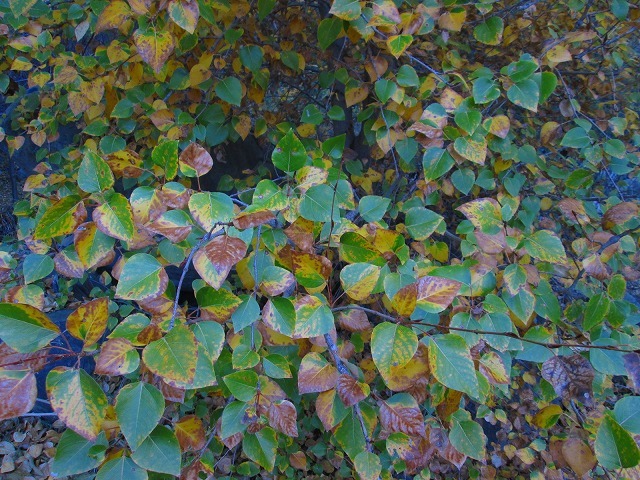 I like these very well. 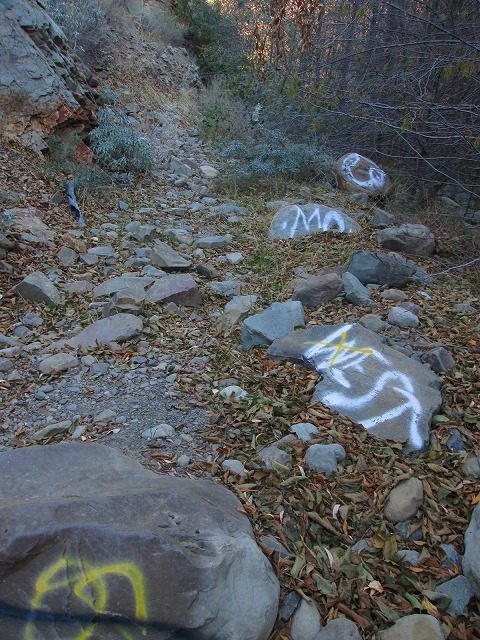 However, the point is easy to lose sight of the trail anyway and that it must pass through the private property at the beginning. 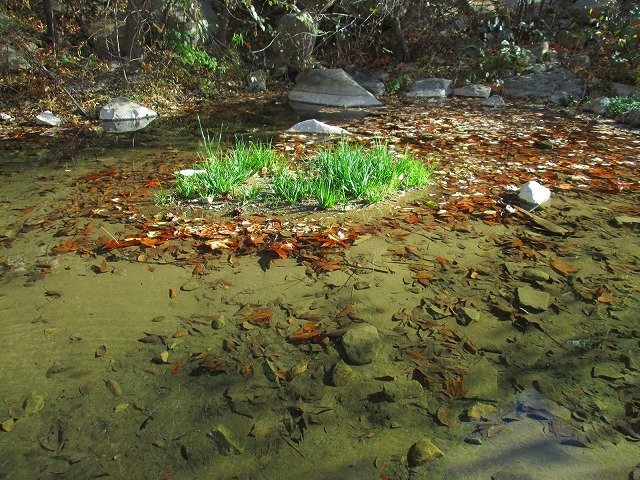 it is a little bit concerned.